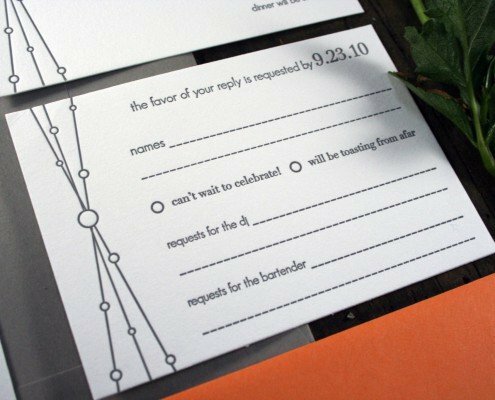 Bold yet playful lines, vibrant colors, and a fun and sophisticated combination of fonts define Terrace, a letterpress wedding invitation suite with modern urban style. 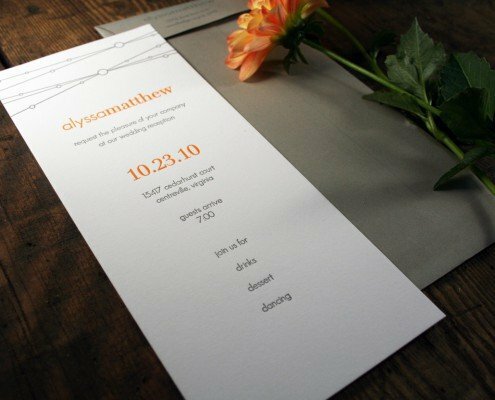 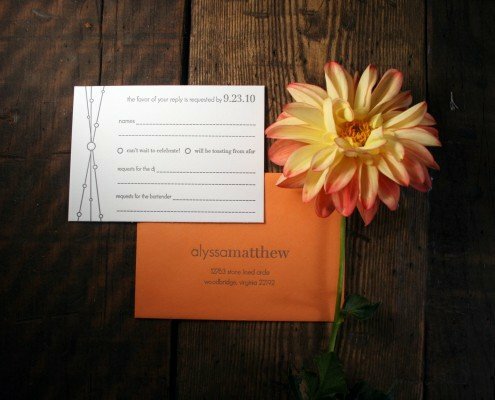 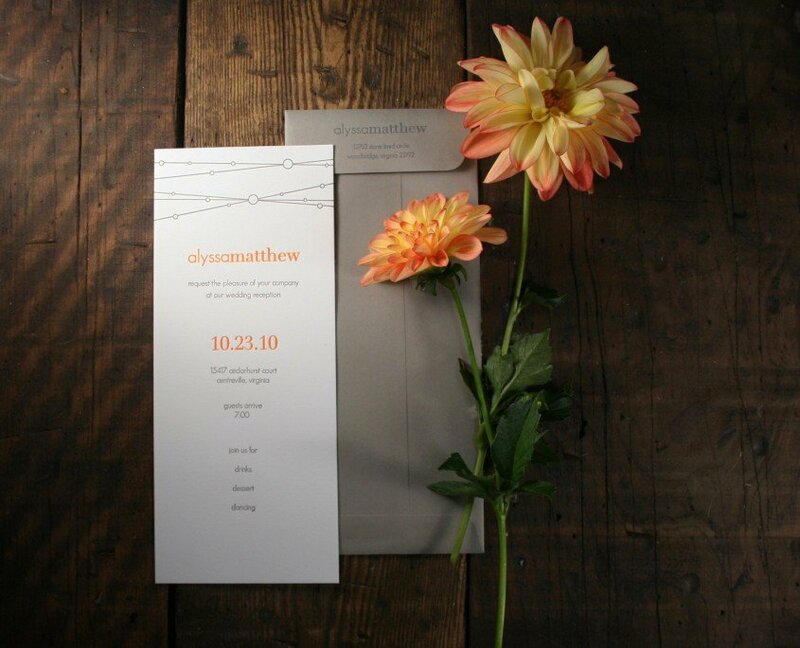 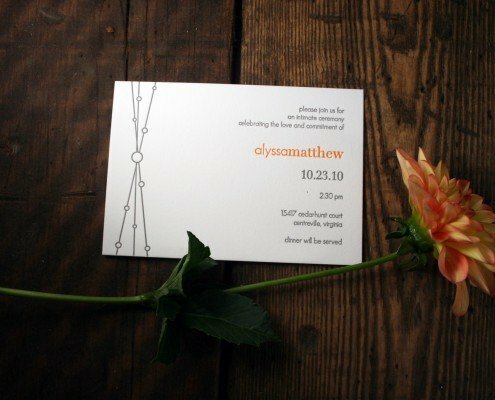 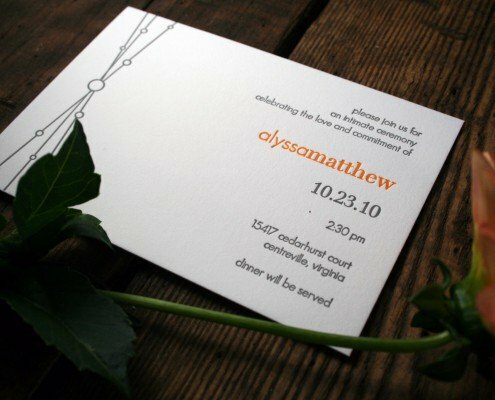 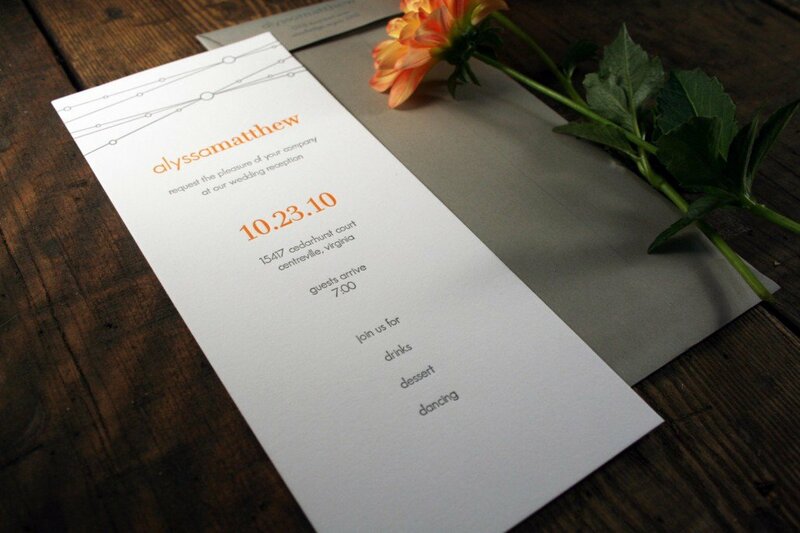 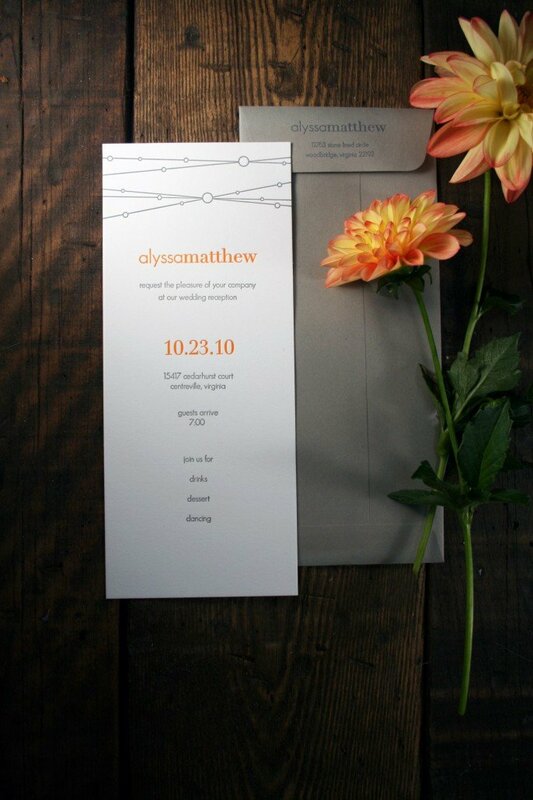 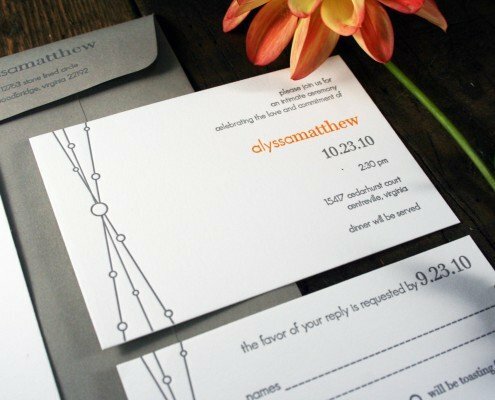 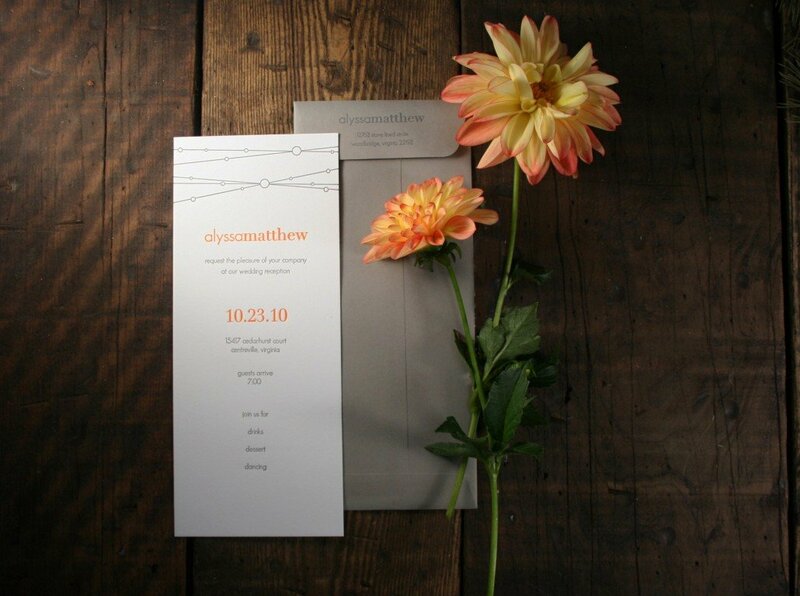 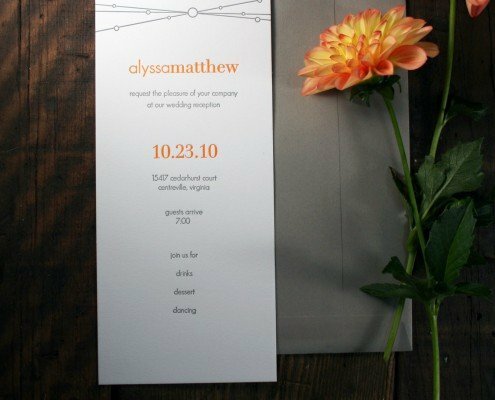 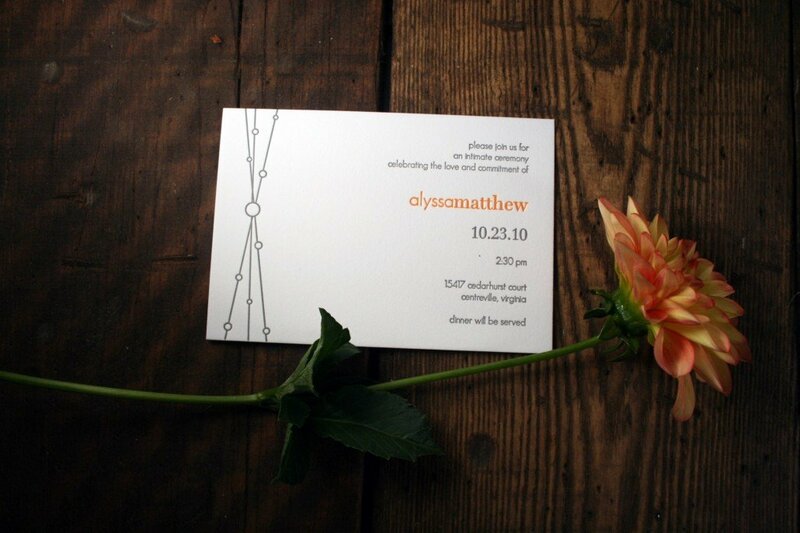 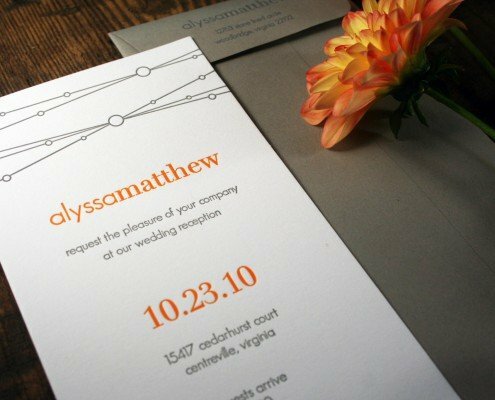 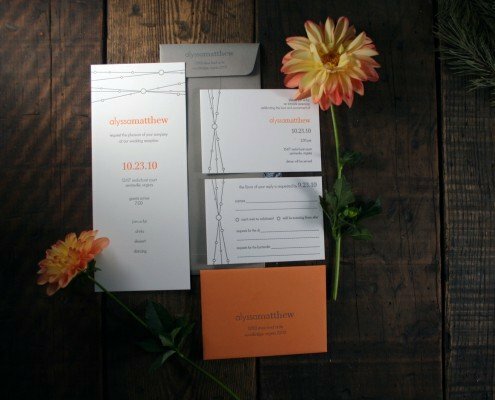 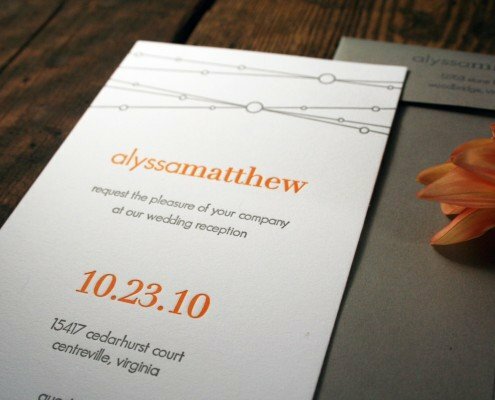 Bright accent colors highlight names and dates, while subtler colors add balance to these unique and vibrant invitations. 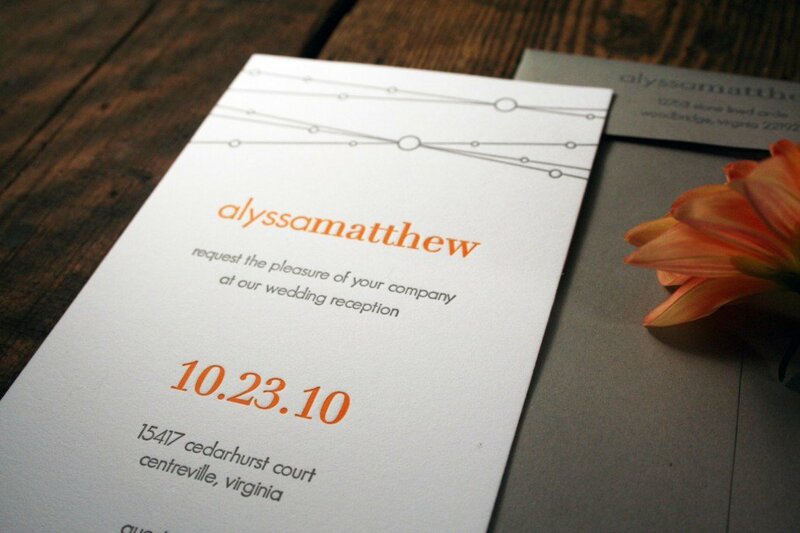 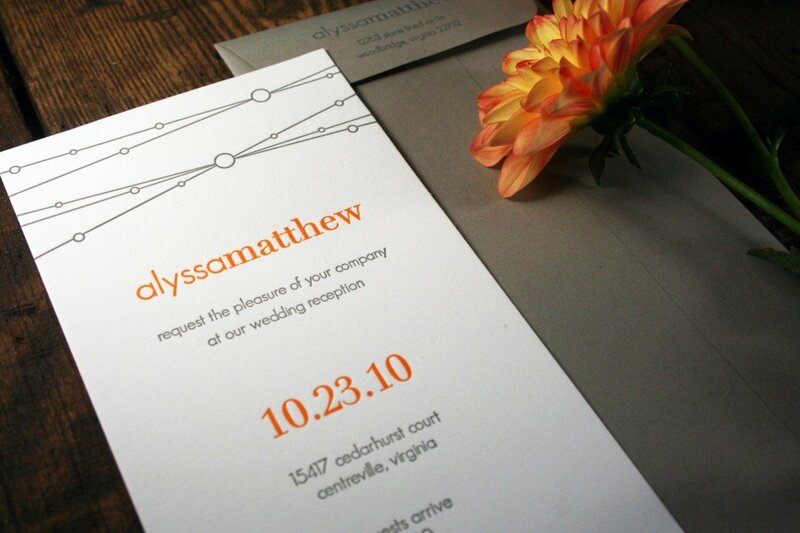 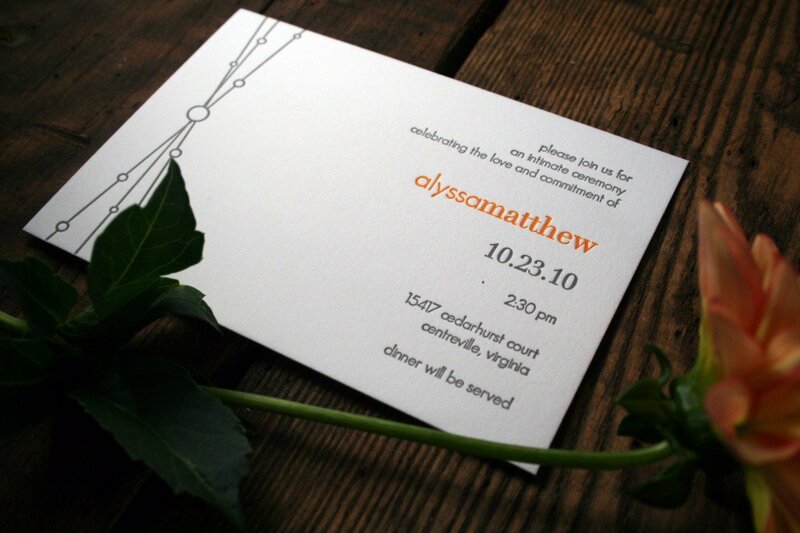 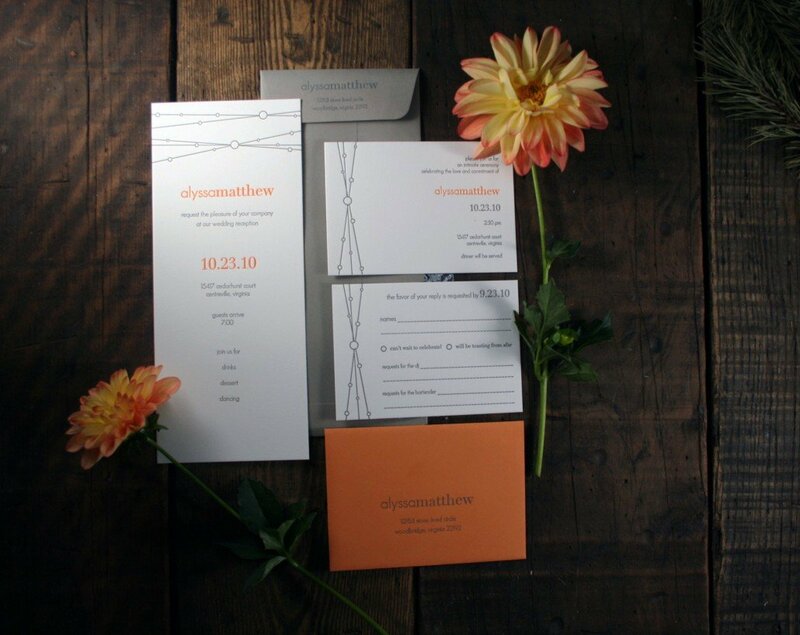 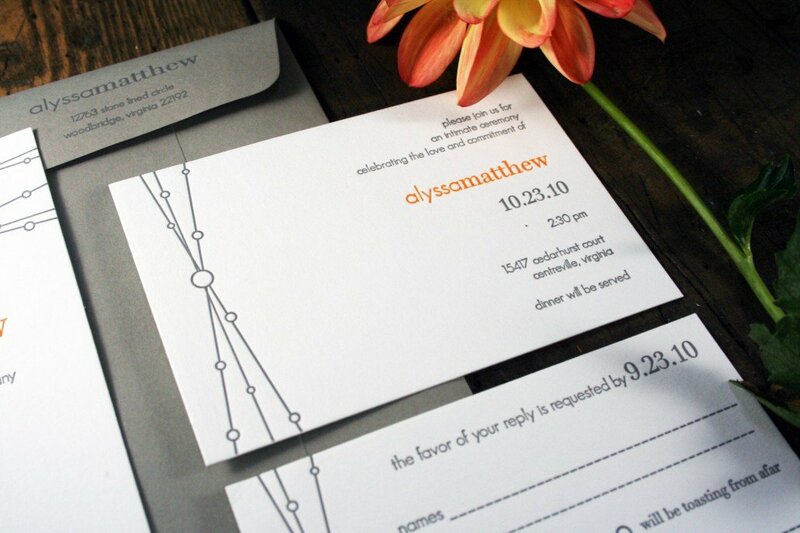 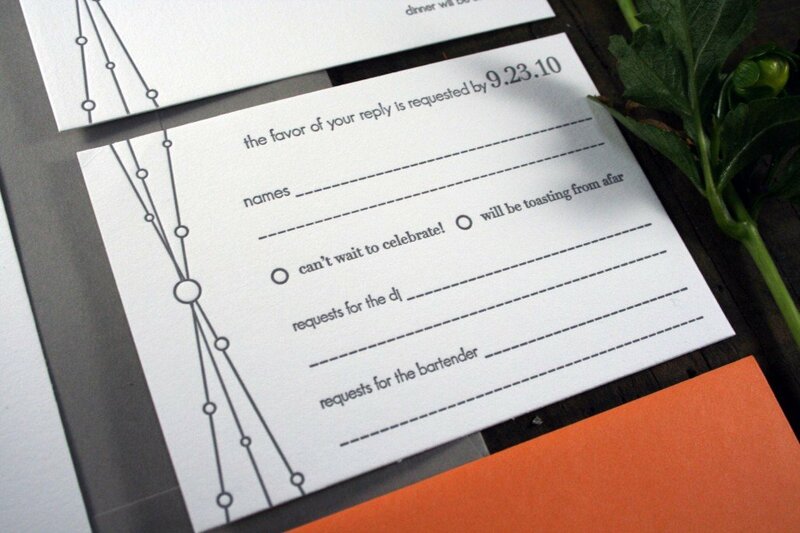 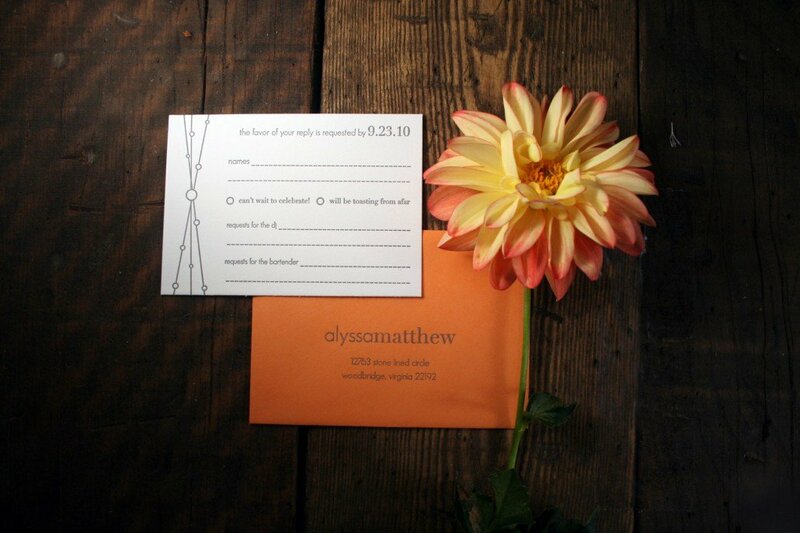 A T-length shape and coordinating colorful envelopes complete the look!